Bon bini to our blog! Bon bini is how we say “welcome” in Papiamento, the native language of Aruba. Look! You’re learning already. We’re so glad you’re deciding to visit our beautiful little Caribbean island for your next trip. Hopefully you’re ready for some fun in the sun, time to kick-back on the Caribbean beach, perfect weather and lots of smiles- they don’t call it the “One Happy Island” for nothing. Don’t worry though, that’s not all we have to offer. Aruba is a small, warm and happy island sitting in the southernmost part of the Caribbean, right above the tip of South America with a population just over 100,000. Do people speak English in Aruba? So is it difficult to communicate with locals while you’re here? Of course not! Our official languages are Dutch and Papiamento but most Arubans also speak English and Spanish, so you won’t have a problem getting along well with our notably friendly locals. What interests you? Do you love shopping, eating, nightlife, relaxing, or kayaking? All of the above, or simple explore the shores of Aruba by Kayak. Our island may be little, but we have everything you need and more right here. More about Aruba. 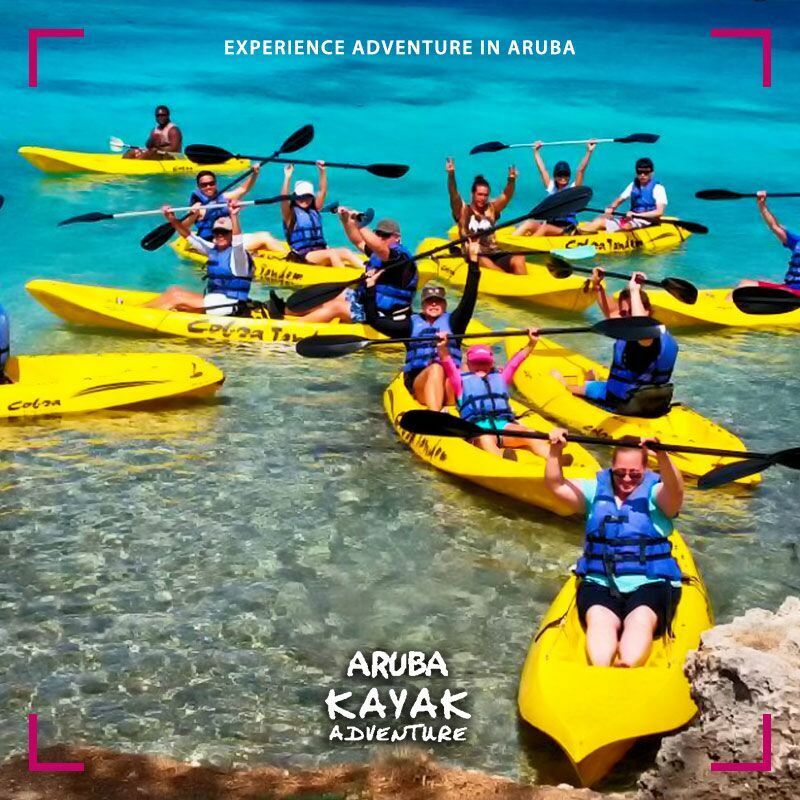 Definitely Kayak in Aruba is a must do activity you would love to do in the beautiful small Caribbean Island of Aruba. Aruba averages 82 degrees year-round, offering more sunny days than any other Caribbean island, and more chances to get outside and enjoy all we have to offer! 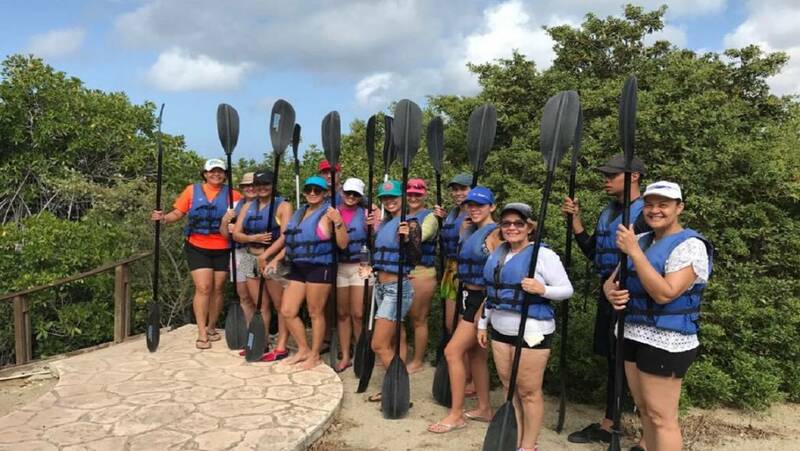 That being said, you’ll find no shortage of outdoor activities to participate in, from hiking along the coastline, to some of the many water-sports we offer like jet skiing, sailing, snorkeling, fishing and kayaking, to name a few. 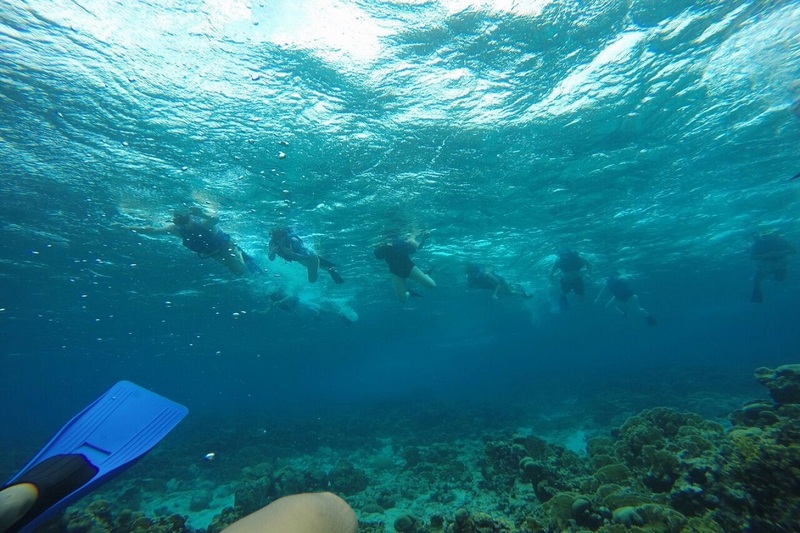 Some of the most sought-out experiences on the island are snorkeling excursions on our beautiful barrier reef and kayaking alongside natural wonders like caves, mangrove forests and our pristine coastline. 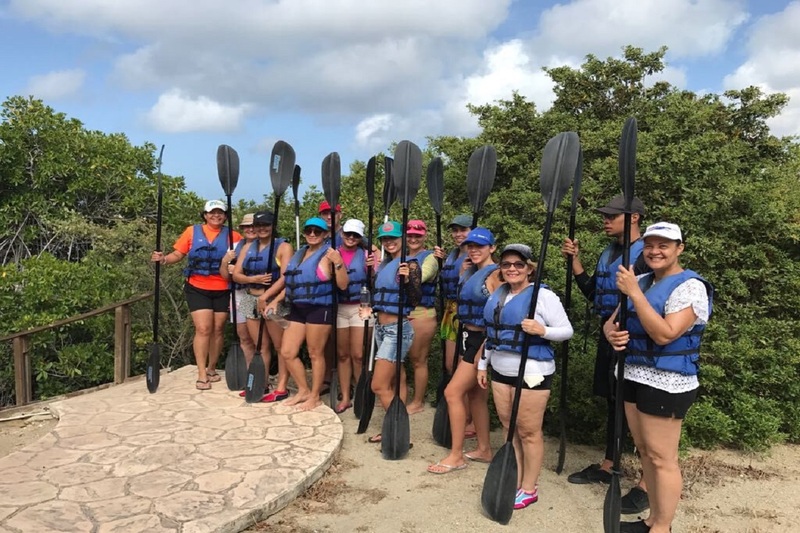 Book Aruba Kayak Adventure to help make your trip to the “One Happy Island” an unforgettable one.